If you could chart out all the cases in Illinois that discuss the "continued employment" rule, you can reach only one conclusion. The law is a muddled, hopeless mess. Two recent decisions just weeks apart confirm that this area of the law is in need of clarification. By now, the concept should be familiar to anyone who reads this blog. For at-will employees, continued employment can provide sufficient consideration for signing a non-compete agreement. This arises when an employer determines an existing at-will employee needs to be bound by a restrictive covenant. 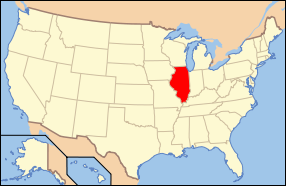 Courts in Illinois, as they are apt to do, have grafted onto this principle a rule that the continued employment must be for a "substantial period." They have not formulated any bright-line rule as to what that means. Some cases suggest it's two years, while others say a shorter period of time. And then other courts say you need to look at other factors beyond just the length of the continued employment. The most important of those factors would be the method of termination - involuntary or a resignation. The rationale for this factor is obvious. As Judge Castillo recently stated, the "substantial period" rule "protects employees from employers who hire workers, have them sign post-employment covenants, then fire them soon thereafter." He even called the method of termination a "critical distinction in determining that one year's employment was sufficient consideration when the employee quit. However, the Illinois Appellate Courts may be more employee-friendly. A recent ruling by the Fifth District in Diederich Ins. Agency, LLC v. Smith found that three months' continued employment was not sufficient consideration even though the employee resigned voluntarily to compete. The more significant aspect of the case, though, addressed a novel issue I have not seen an Illinois court examine. The employee, an insurance agent, had signed a 2-year covenant at the start of employment. Less than a year later, the employer modified it to reduce the scope to 1-year. Nothing was provided to the employee for this second agreement, which was clearly more narrow in scope. The court found that the modification was a new agreement which needed fresh consideration, not supplied by continued employment. This is a curious result (to put it mildly), since the employer's generosity in reducing the scope of the non-compete agreement resulted in a windfall for the employee. The court's ruling results in kind of a perverse incentive to keep overbroad agreements in place at the risk of running into a consideration problem. Courts should be encouraging employers to do what the agency in Diederich Ins. Agency did and pare back covenants when business circumstances call for it. Arguably, this type of reasoning could extend to modifications of covenants when an employer, for instance, takes out a geographic territory it no longer services or a list of "restricted clients" that may have been identified with specificity.